This latest horrific incident is eerily similar to another equally tragic incident Leesfield Scolaro recently handled. 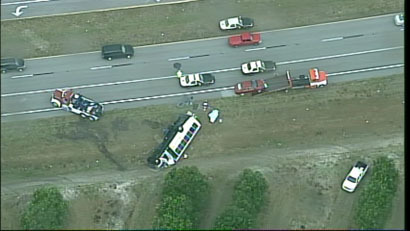 Attorneys Ira Leesfield and Thomas Scolaro represented the families of multiple passengers who lost their lives due to a negligent driver as well as an inadequately maintained, unsafe, and defective bus which significantly contributed to multiple passengers being ejected, resulting in several fatalities. Bus tour accidents are extremely devastating because more often than not they involve a high number of victims. That is why cruise lines must exercise the utmost care in selecting the operators they choose to run their cruise excursions. Each cruise line declares its ships are the safest, most high-tech, state-of-the-art ships in the world. In doing so, they take on the responsibility of selling excursions to their passengers, excursions that passengers are led to believe are operated, run, maintained, or at the very least vetted by the cruise lines themselves. Cruise passengers extend the cruise lines’ motto (“The safety and security of our guests is our top priority”) to cruise excursions and the people who run them. Sadly, the cruise industry has forever relied upon local companies to run their excursions to the detriment of passenger safety. Often times the local tours selected by cruise lines are understaffed, underpaid, stuck in the 20th century when it comes to safety, which means that they fail to adequately maintain and regularly inspect their equipment, and passengers are left to suffer severe, sometimes fatal consequences. To learn more about Leesfield Scolaro’s recent results in cruise excursion cases, or receive more information about the successful legal strategies to employ in complex cruise excursion cases, visit our Cruise Ship Law page by clicking on this link.